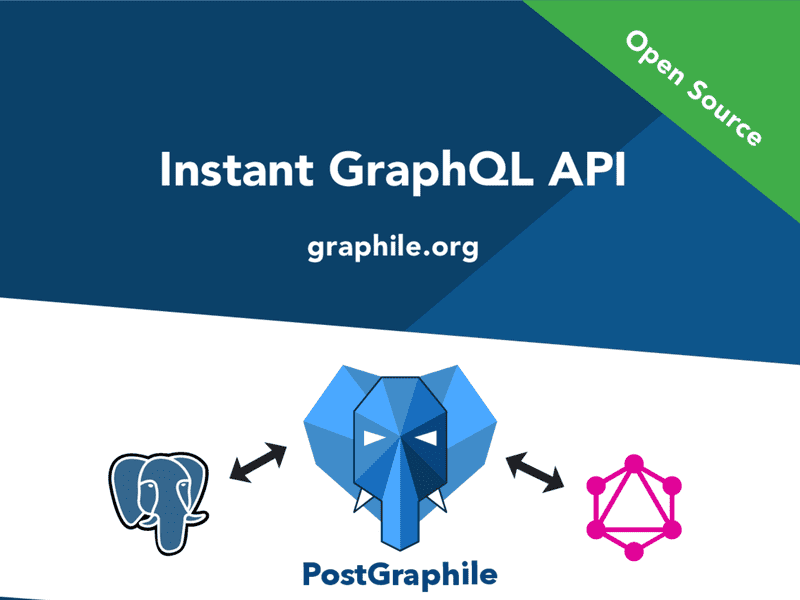 PostGraphile helps you bring together the power of PostgreSQL with the flexibility and ease-of-use of GraphQL. On this site you'll find a number of learning resources to help you on your journey. GraphQL supports three operation types: query, mutation and subscription. 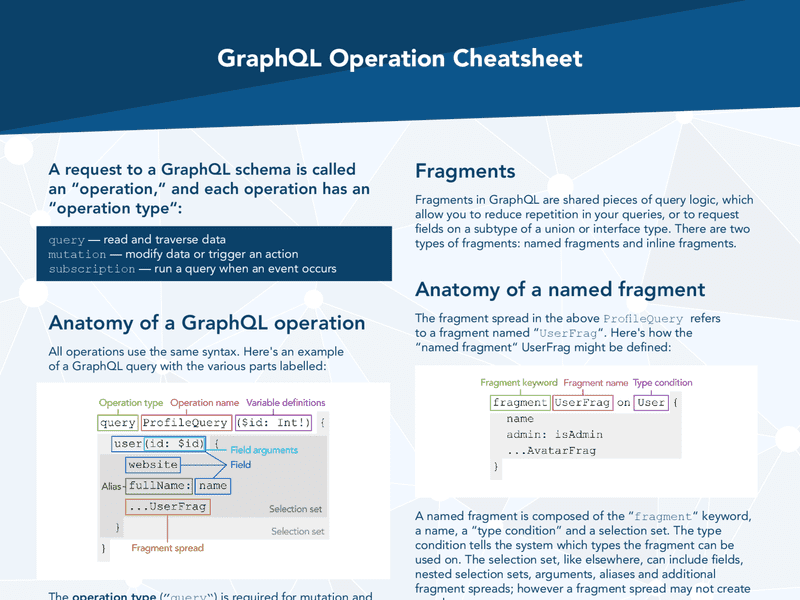 This cheatsheet covers how to construct GraphQL requests for each of these operations, gives an overview of GraphQL fragments, and gives an overview of how to send a request over HTTP. 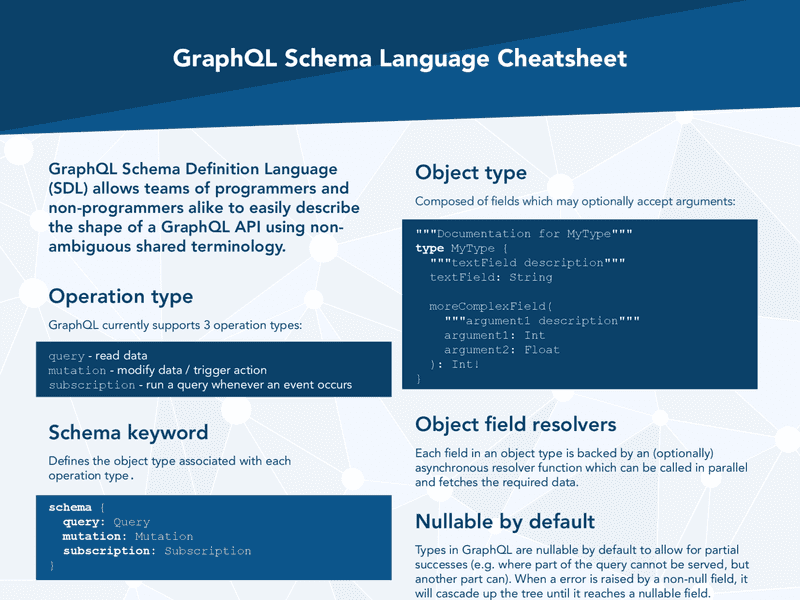 GraphQL Schema Definition Language (SDL) enables teams to discuss the design of a GraphQL API using shared terminology accessible to non-programmers. This cheatsheet is a reference for the terminology and how it is used. This marketing booklet contains a little information about GraphQL, PostgreSQL and PostGraphile, and directs the reader to this website. Primarily intended for community members to distribute at meetups and conferences. 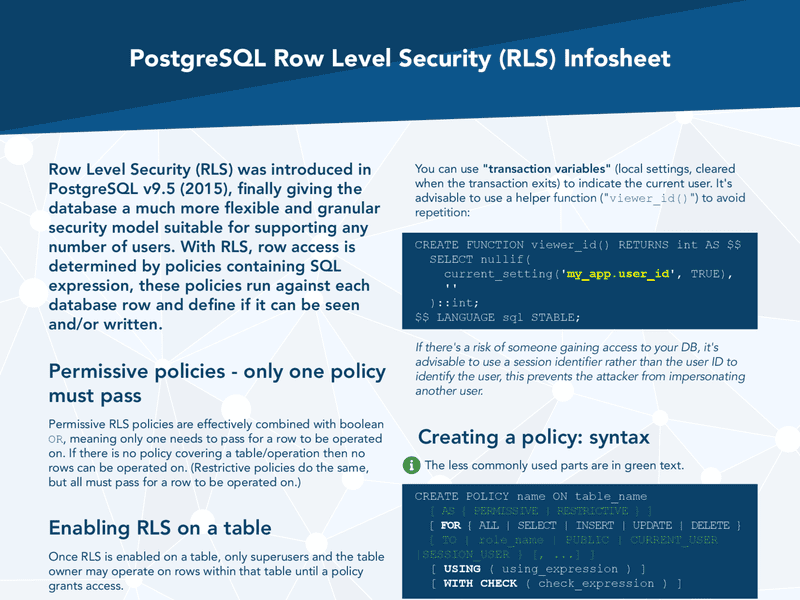 In 2015, PostgreSQL introduced a granular security technology, Row Level Security, in which policies containing SQL expression dictate which rows the current user may operate on. Learn about how you can increase your application security with RLS in this infosheet. These learning resources are copyright © 2019 Graphile Ltd.
Graphile Ltd is a limited company registered in England and Wales, company number: 11171700, registered address: Tremain House, 8 Maple Drive, Kings Worthy, Winchester, Hampshire, SO23 7NG, United Kingdom.